Editor’s note: In case you missed it, this week we were told that from 2020 onward, both Richard Mille and Audemars Piguet would no longer be showing at Salon International de la Haute Horlogerie (SIHH), as they shift their focus 100 per cent to their boutiques and customers, and look to spread their releases throughout the entire year. Well, needless to say, the news had us feeling a little down in the dumps. 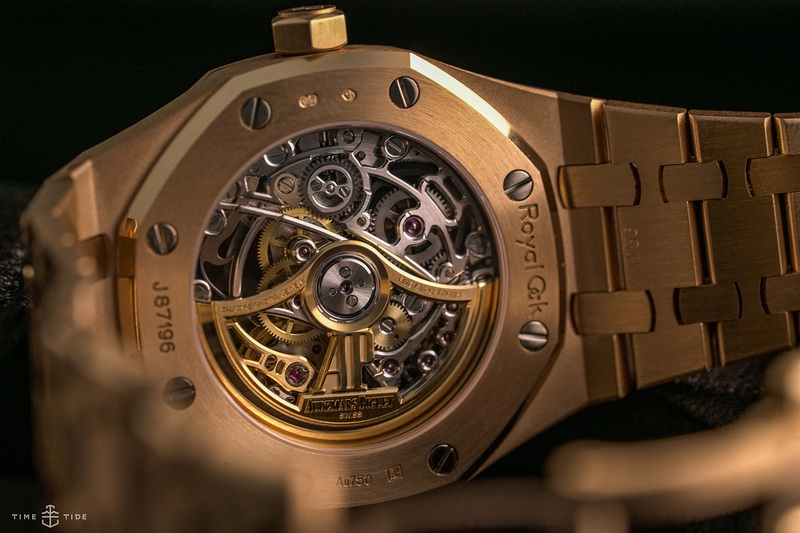 I’m not sure if this is going to help or hinder, but now seems as good a time as any to look back in delight at one of AP’s best: the Royal Oak Double Balance Wheel Openworked. 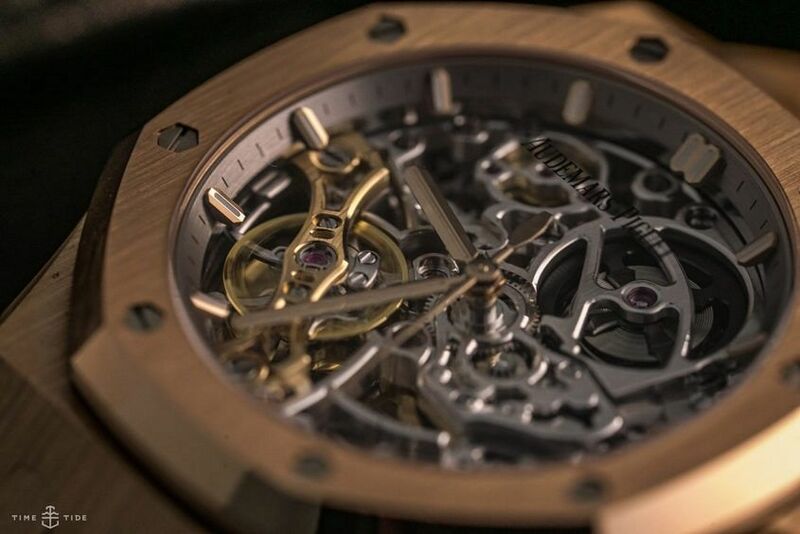 One of the finest openworked watches on the market right now (and one that, paradoxically, didn’t make our list of skeletonised watches) is the Royal Oak Double Balance Wheel Openworked from Audemars Piguet. Visually, this pink gold case with predominantly steel movement architecture is everything you’d expect — that classic RO case and bracelet looking boss, with a deep, complex openworked dial. 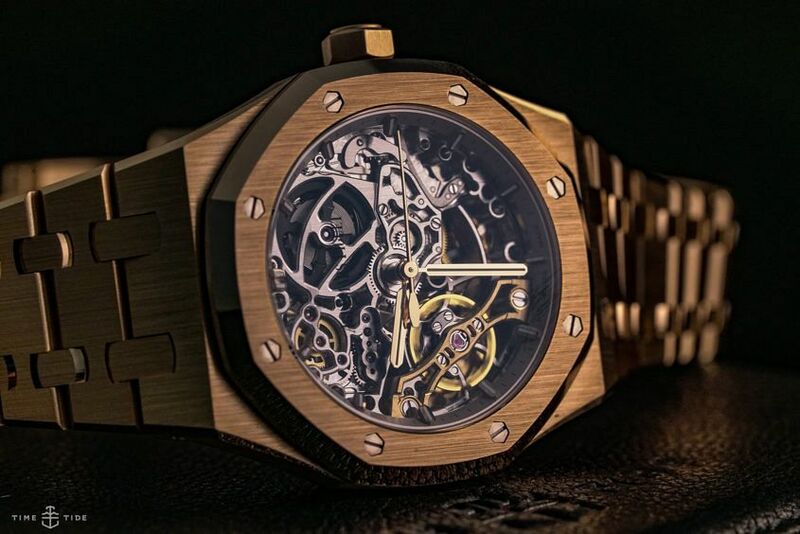 And while legibility is the main concern here (there’s not a heap of contrast between the movement and those gold hands, compared to earlier versions with a grey movement finish), it quickly becomes apparent that the titular double balance, nestled at eight o’clock, is the star of the show. What, I hear you ask, precisely is a double balance? Well, the role of a balance is to regulate the accuracy of the watch. This watch offers not one, but two balance wheels — which is good, as more mass equals more accuracy. What’s more, the balance wheels are set against each other to hopefully offset any variance in its twin. The case measures in at 37mm across, making it a solid, and solidly opulent, choice for more slender wrists. But regardless of whether it’s worn by a king or a queen, this Royal Oak still holds the crown.